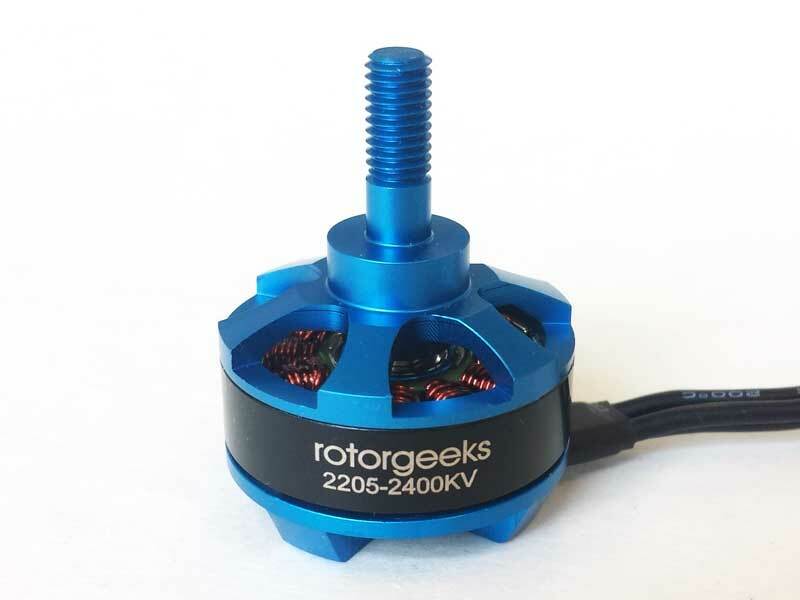 The 2205-2400kv motor is an ideal balance between weight, power and energy consumption. 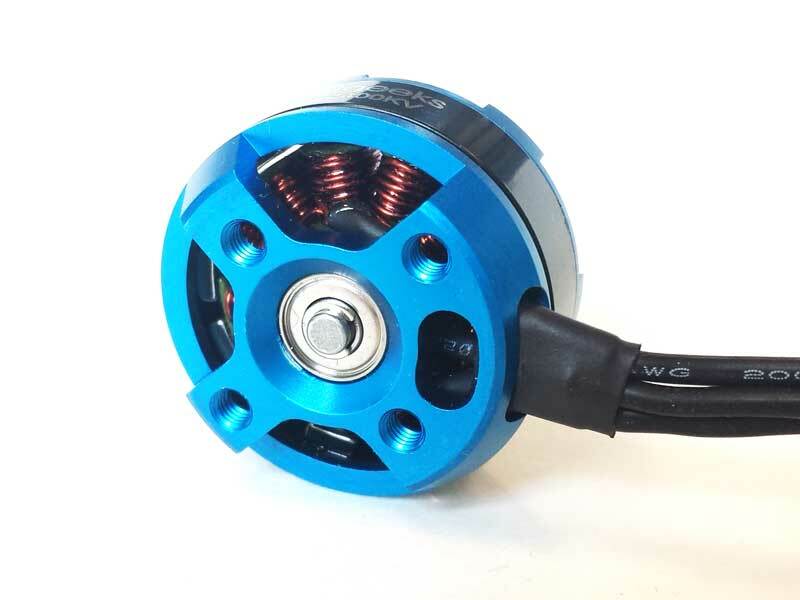 Not quite as hungry as some of the battery killing motors on the market now but with enough power and kv to run a wide range of props in a racing or freestyle setting. The Rotorgeeks 7075 Series is made from 7075-T6 aircraft grade aluminum, with almost 3 times the tensile strength of traditional 6063. The case design has been engineered for maximum strength and impact resistance. More material in key structural areas, spans, mounting hole clearance and other potential points of failure in a high speed impact. Shafts are secured into the rotor both mechanically and with a high strength adhesive to make shaft slippage and vertical play a thing of the past. The shaft is held in place at the base with a standard e-clip, making servicing and parts replacement easier than ever. 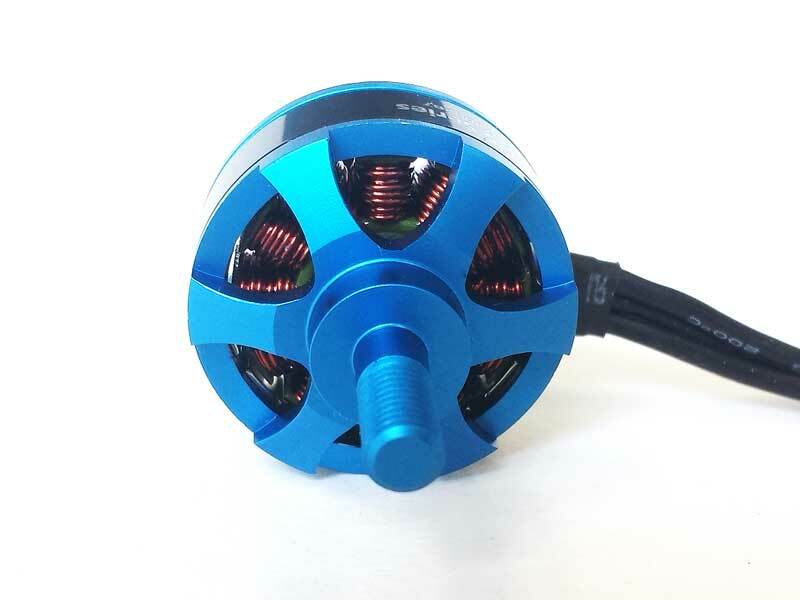 We believe the 7075 Series is the toughest miniquad motor on the market. Fully serviceable - right from the start we wanted to be able to repair and replace every part of the motor to handle crashes as well as wear and tear. Bearings are not glued in place. All parts are available separately - rotor w/shaft, stator, bearings, clips and shims. Case design was engineered for light weight and maximum cooling and airflow to the windings. The prop height has been set a little higher to reduce the likelihood of props striking the ESC.